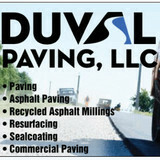 Duval Paving, LLC is a paving contractor serving the Daytona Beach, FL area. 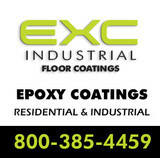 Services include Asphalt Paving, Chip Seal Paving, Commercial Paving, Concrete Installation, Crack Repair, Dirt Work, Paving, Recycled Asphalt Millings, Resurfacing and Sealcoating. At Pavers Unlimited we provide high quality work to exceed our customers expectations. We have been doing paver installation in the Central Florida area for the last 20 years, and make it our goal to make your hardscape dreams come true. Patios, walkways, driveways, pool decks, and retaining walls, we do it all! Give us an opportunity to make you say "WOW!" Established in 1990, TMT Construction, Inc. have been provided quality masonry & concrete work throughout Central Florida and beyond. TMT Construction is experienced in working with general contractors, developers, architects, designers, and, of course, homeowners. 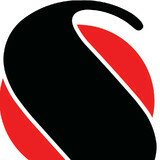 Over two decades of award-winning work speak of unparalleled experience. BPCS’ reputation has been built on professional quality and dependable service. Our dedicated management team is focused on customer service and ensuring the highest quality craftsmanship. It is because of our dedication and commitment to you, our customer, that we are confident you will be pleased with our work. From installation to repair, Ormond Beach, FL driveway contractors are responsible for a variety of planning, installation, construction and driveway maintenance services. Driveway materials. While most driveway contractors in Ormond Beach, FL primarily work with asphalt, they are also experts on the wide range of available driveway materials. If you are looking for something different than a standard asphalt driveway, your pro can help you select driveway pavers or customize a brick driveway design. A driveway installation and maintenance professional may work closely with an Ormond Beach, FL builder, landscape professional or various manufacturers and suppliers. Find an Ormond Beach, FL driveway installation and maintenance professional on Houzz. Narrow your search in the Professionals section of the website to Ormond Beach, FL driveway installation and maintenance. You may also look through Ormond Beach, FL photos to find examples of driveways that you like, then contact the professional or contractor who worked on them.